Buckle up and take Billie for a ride. 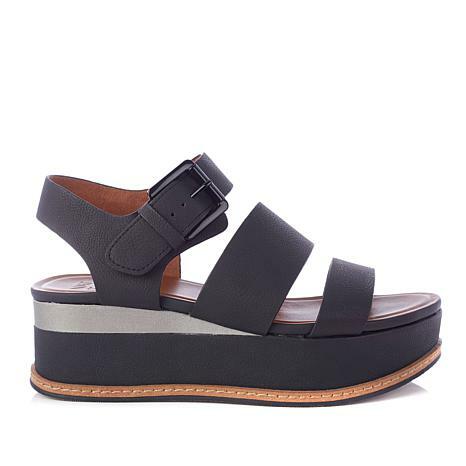 You'll be high on style in this sturdy "flatform" design featuring a hit of contrasting color at the heel. 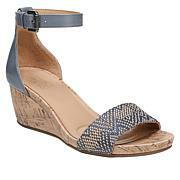 Whether you're in jeans, shorts or a dress, this shoe updates and elevates your look with its chunky silhouette. I bought them in Blush and they are beautiful. I didn't find them to clunky. 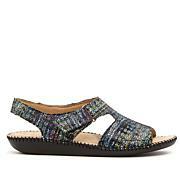 Fit is medium, very comfortable shoe style for summer. This shoe fits like a dream! I got both colors and both are so fun! They are both comfy and true to size. I have weak ankles and these will be so fun to wear! These sandals are true to size and very pretty but for some reason I found them extremely heavy. I had to return.